Patti was one of seven individuals who began Paws Patrol in Green Valley, AZ in 2006 after recognizing a need for an organization to begin Trap-Neuter-Return to handle a growing feral cat population. Having spent over 25 years in the corporations specializing in benefits administration, planning and communication, Patti brought her knowledge and background to the cat rescue environment. In 2015, Paws Patrol was proud to open its first brick and mortar location to better serve the felines in Southern Arizona and accomplish the organization’s mission. Patti grew up an only child and her mother’s career required them to move a lot during her childhood. She remembers having cats back to her earliest days, and when the family would move, the cats always went with them. Patti says she was always bringing home some animal, be it a cat, dog, or bird. Today, Patti and her husband foster cats, in addition to their current feline family members. Patti holds a Master’s Degree in Adult Education and Human Resource Development from Fordham University at Lincoln Center in New York. Always an animal lover, RaeLyn credits her love of animals to her maternal grandfather. Always gentle, soft spoken, and kind, he taught a love and respect for all animals, both domestic and wild. In addition, her father could never say no to any stray cat which she brought home. Born and raised in Utah, RaeLyn married her husband, Ken, in 1992 and they have two sons. Zach who is a “retired” United States Marine and Mitch who will be a Senior at Sahuarita High School. They relocated to Arizona in 2004, after one too many snow storms, with two kids, three cats, and two large dogs. She had been in the Real Estate business in Utah and while signing the closing papers on their home, was offered a job with Lawyer’s Title in Green Valley, now known as Title Security. While working at Title Security, she met the President of Fairfield Homes and, after ten years with Title Security, left to work with Fairfield. Always seeing stray and feral cats around their home, food was left out to take care of them. It was a cat named Panther who introduced her to Paws Patrol. After needing to seek help from Paws Patrol for his injured eye, she decided to volunteer to give back for the help provided. The experience came full circle when she was able to handle Panther’s adoption to a great young man. Even after having cats her whole life, she says she has learned so much from Paws Patrol and has taken in cats she never would have considered before joining Paws Patrol. She feels one of the greatest things in the world is seeing the shy and frightened cats make baby steps towards human companionship. 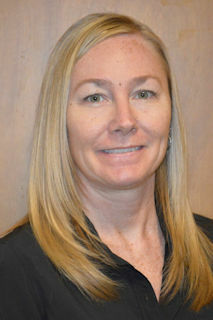 RaeLyn holds a BS in Business Administration and is Vice President of Operations for Fairfield Homes Arizona. Her greatest accomplishment, however, will always be her sons. Shirley joined Paws Patrol in 2010 after discovering a cat colony on the one acre property that she and her husband, Steve, lived. There were 11 cats including 4 kittens roaming the property—all needed spayed and neutered and one needed medical attention. Paws Patrol came to the rescue. The Paws Patrol volunteers were incredibly helpful and caring. 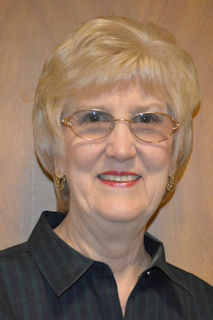 Shirley had recently retired from Raytheon where she had served as secretary, buyer, and editor of the Go Club Newsletter. Paws needed a secretary and Shirley had spare time on her hand so it was a good match. Shirley grew up in a small town in Ohio. She was a dog person and had no interest in cats. Shirley’s love of cats began when her dog, Wolf, jumped over the six-foot wall and decided to explore and not return home for the night. The next day Shirley drove to the animal shelter to find him. At the shelter she passed cages of lost and abandoned animals. While Wolf was waiting patiently at home, Shirley passed the last long row of enclosures and noticed a tiny long-haired white kitten, barely weaned with a bad eye inflection. With heavily matted eyes and scruffy fur, she was the most beautiful animal Shirley had ever seen. When Shirley left the animal shelter, “Chrissy” was in her arms. That tiny kitten stole her heart and led to a life of adopting and fostering countless dogs and cats over the years with her husband Steve. In addition to fostering and being secretary for Paws Patrol, Shirley also creates all the posters and flyers used to advertise special events and cats that are up for adoption. She designs the Paws Patrol calendar, which is a major fundraiser for the organization. Shirley also wrote the book From Feral to Family, another fundraising project for Paws Patrol. In her spare time, she enjoys writing children’s stories and having the grand kids come to visit. The grand kids especially like to come to Grandma Shirley’s house because she always has kittens for them to play with. Vicky spent her working life providing accounting and bookkeeping services for small businesses including operating her own business. She worked with small businesses in installing, setting up and training employees in using new accounting software and assisting owners with cash flow issues. She also worked closely with company CPAs to review their accounting processes. In 2009, Vicky sold her business and retired to Green Valley, AZ. 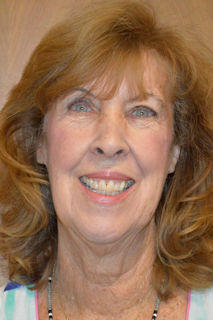 After a term on the board at Green Valley Recreation and her term on the Fiscal Affairs Committee came to an end, she decided it was time to help another organization. Vicky heard about Paws Patrol and decided that she would check it out. She quickly realized that she liked the organization’s programs and services. It was Paws Patrol’s mission that particularly spoke to Vicky and her husbands since they were cat owners themselves. Vicky learned that the organization was seeking someone to take on their bookkeeping needs and she decided that this would be a good fit for her. After meeting and talking with the organization’s Founder, Patti Hogan, Vicky enthusiastically “came on board” and she is so glad that she did. Anne is a true cat lover and especially enjoys taking in and fostering kittens! It is her belief that by implementing programs such as TNR, we can humanely and effectively control disease and the overpopulation of stray/feral cats in our community. Anne first came to Paws Patrol in June 2017 after having volunteered at another animal shelter in her community. Her main responsibility as a board member for Paws Patrol is to oversee the website and clearly communicate the organization’s mission and vision to the public. 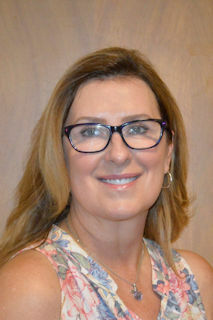 As a board member and by way of the website, she also seeks to assist in educating the community about our TNR and Community Cats programs, promoting cats for adoption, cat health and safety, and disaster preparedness for your animals. 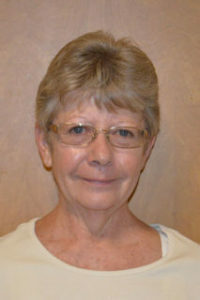 Anne has worked in the Information Technology field for over 25 years. Currently employed by Tucson Electric Power, she has also worked for software giants Sybase and SAP as a Project Manager, Development Manager, Systems Analyst and Business Analyst. Anne holds a Bachelor of Science in Information Systems and Technology from the University of Phoenix. She has also studied advanced Mathematics and provided many hours of volunteer tutoring to students in need in the subjects of Algebra and Calculus. Julie began her journey in animal rescue in 2003 when she discovered a feral cat with three small kittens in downtown Tucson. This discovery led to Julie researching and implementing a TNR program on the property of her employer. Over the course of five years, Julie and her partner, David, trapped over 100 cats and helped to find homes for several abandoned strays and kittens. Their rescue efforts have continued over the years and they are proud to say that they have been able to take in several feral cats who were unable to be returned to their outdoor colonies. As a board member for Paws Patrol, Julie is focused on strengthening marketing and fundraising efforts. She is committed to helping the organization revitalize operations and save more animals. Julie’s career focus is the arts. She has been involved in the arts all of her life and she is extremely proud to be a part of the arts in Southern Arizona. She currently serves at the Marketing Director at the University of Arizona School of Theatre, Film & Television. She holds a Bachelor of Fine Arts in Theatre and a Bachelor of Arts in English from Northern Kentucky University. She also holds a Master of Arts in Arts Administration from the University of Kentucky. David has always been a cat lover since a child. He became familiar with Paws Patrol when searching for a local animal group him and his wife could volunteer at together. David brings a wide variety of technical abilities to the organization by helping redesign the website, taking cat photos, and helping streamline documentation and calendaring applications. 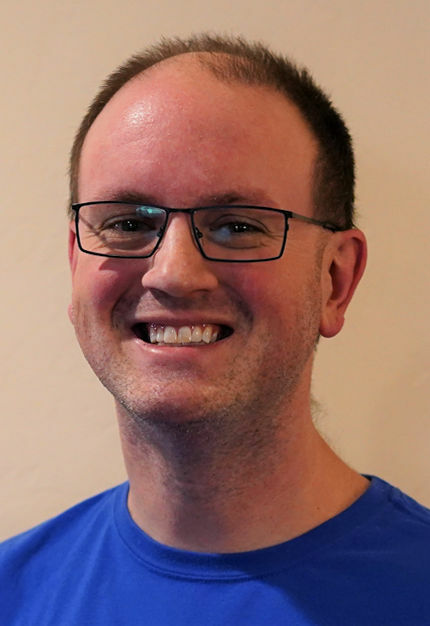 David has been in the IT industry for more than 10 years and has worked locally at University of Arizona, Raytheon and now works in Cyber Security. He holds a Bachelor of Science in Information Science and Technology from Missouri University of Science and Technology and a Master of Administration from Northern Arizona University.